News and blog Fun times tables games, anyone? 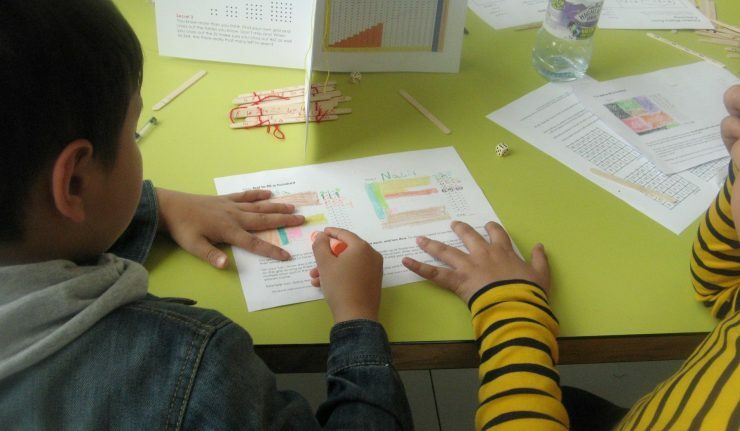 We recently worked with Camden children and families to try out some ways of making times tables more fun. 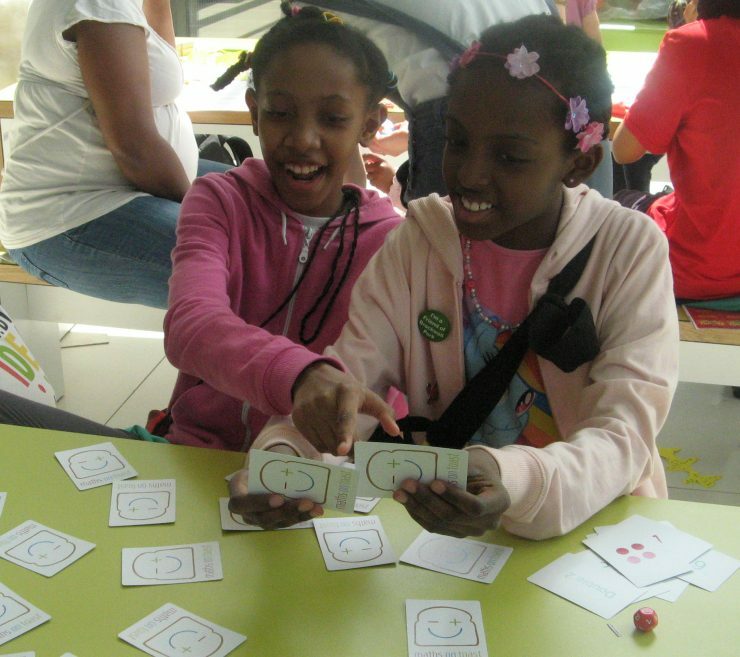 We were cutting, folding, sticking… and in amongst it, we played some games! We’re really pleased that we can now release two of those games so you can play them yourself. Hooray! All you need to do is download and print the PDF, and find some dice. Dice are found in board games, in crackers, and in online shops. You can also get dice apps, though real ones are somehow more satisfying. First to fill 100 – take turns to throw dice and colour in squares till you whole grid is full up. The crossing out game– take turns to throw dice and cross out numbers till none are left. PS: The games are good for your brain in more ways than one. You’re seeing relationships between numbers, visualising numbers, and developing something called ‘number sense’ – not just learning by rote. PPS: There’s another game we have developed too but it’s a card game so a bit more complicated to share. Want to know more? In September we’ll be crowdfunding to launch it. Sign up to the mailing list to find out more.